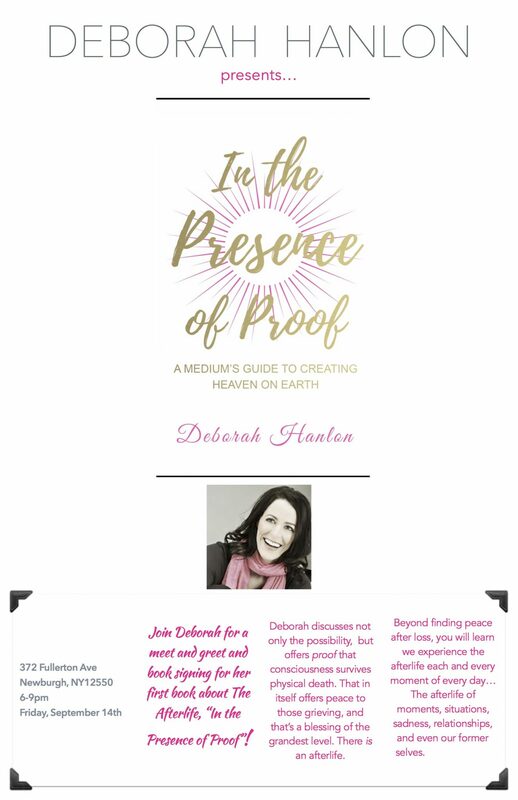 Deborah will be at her Center in Newburgh signing copies of her new book, “In The Presence of Proof, A Medium’s Guide to Creating Heaven on Earth”. $15.95 + tax = $17.25, cash only. Be one of the first to purchase your own copy of her book that offers proof that consciousness survives physical death. That there an afterlife, and beyond finding peace with loss, you’ll learn how we experience the afterlife each and every moment of every day.